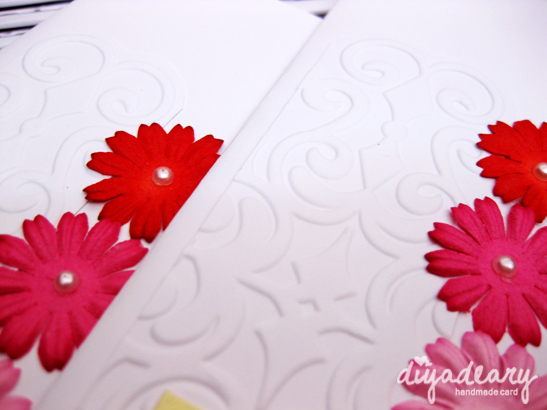 We almost forgot to share this wedding card made last February. 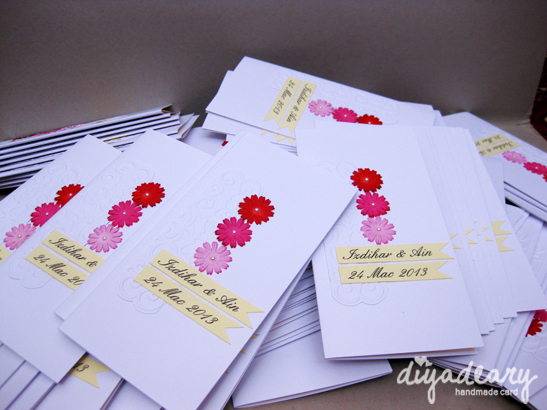 It was 100 pieces handmade wedding cards, with floral theme. The pattern was actually embossed so you could actually feel the textures. I like the clean design requested by the customer. Like the saying, simple at it's best. We did the inlays design as well. 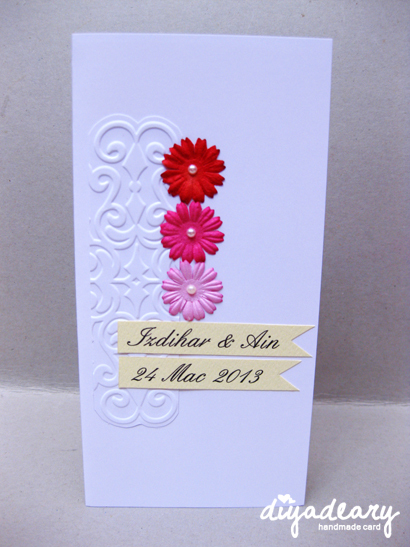 If you like to have handmade wedding card or something different than usual wedding card design on your wedding, kindly email us at Yahoo or Facebook. It's just a click away!